This essay sketches an account of how investment arbitration affects development of local legal institutions, in particular domestic courts. When investment arbitration is introduced into a local legal environment, it becomes integrated with international commercial arbitration, and often domestic arbitration. 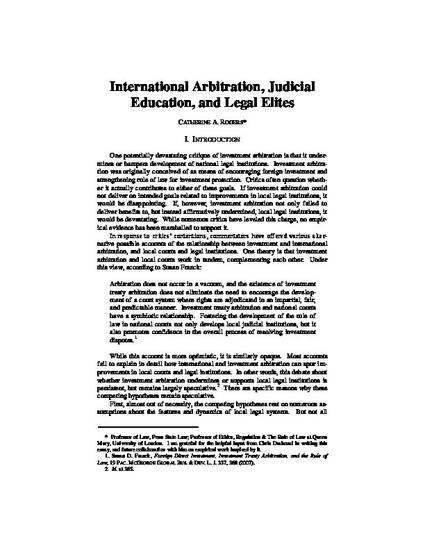 This integration occurs because the local economic elites, private law firms, and local businesses that deal with (or compete with) foreign investors and investment arbitration disputes also deal with international commercial matters, international commercial disputes, and domestic arbitration.